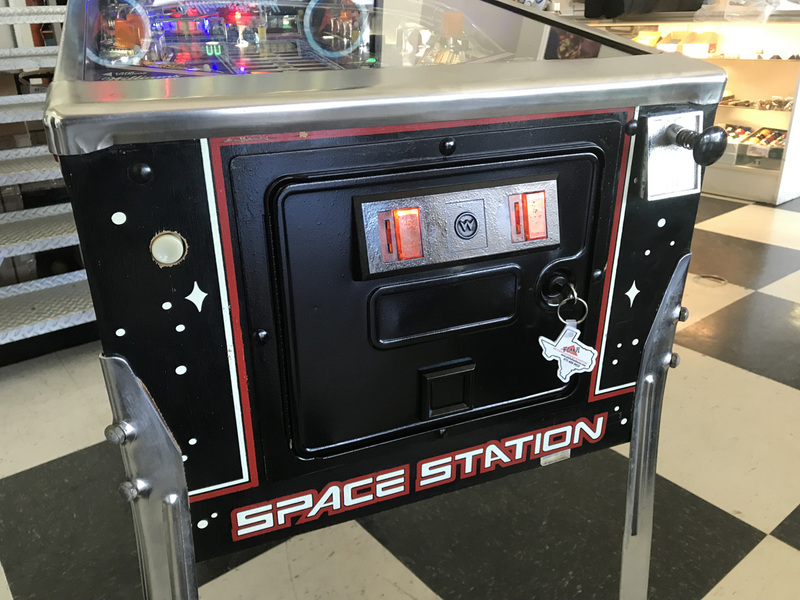 Space Station Pinball Machine * | Fun! 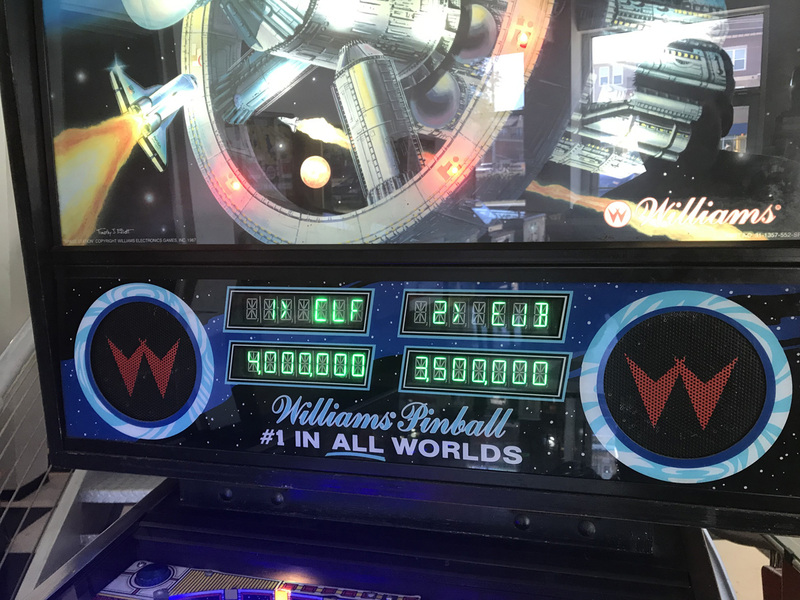 This hard to find classic pinball from Williams features a Space Theme. 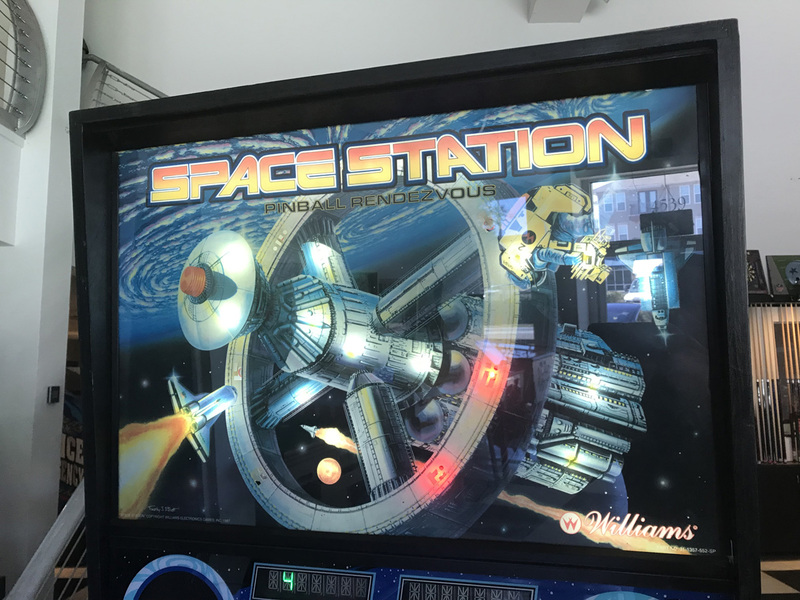 Space Station is the sequel to Williams hit pinball machine from 1984, Space Shuttle. 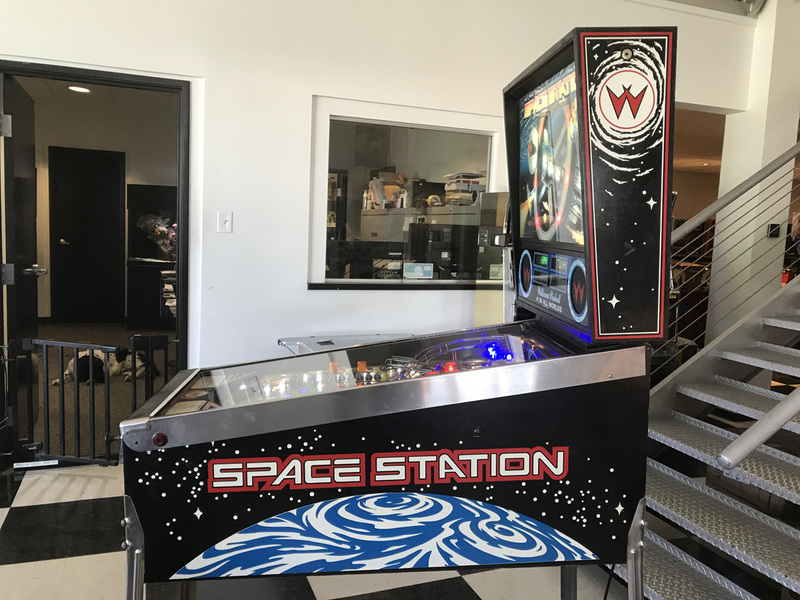 Both games created by famed pinball designer Barry Oursler. Some of Barry’s other memorable titles include Pin-Bot, Gorgar, Bad Cats, Doctor Who, Dirty Harry and Bram Stoker’s Dracula to name a few. There is lots to do on Space Station with it’s multiple ramps, pop bumpers, drop target bank, multiple stand up targets and multi-ball, great sounding 80’s sound effects with speech. Space Station has it all! This game was acquired from a local collector and has been well taken care of. 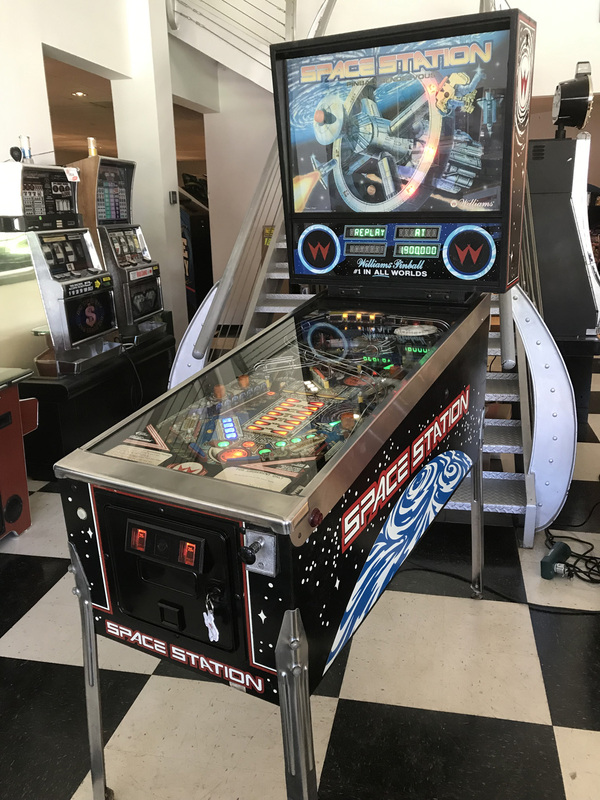 Space Station is in overall great condition and the playfield has been well protected over the years with factory mylar. Space Shuttle has been recently shopped out. 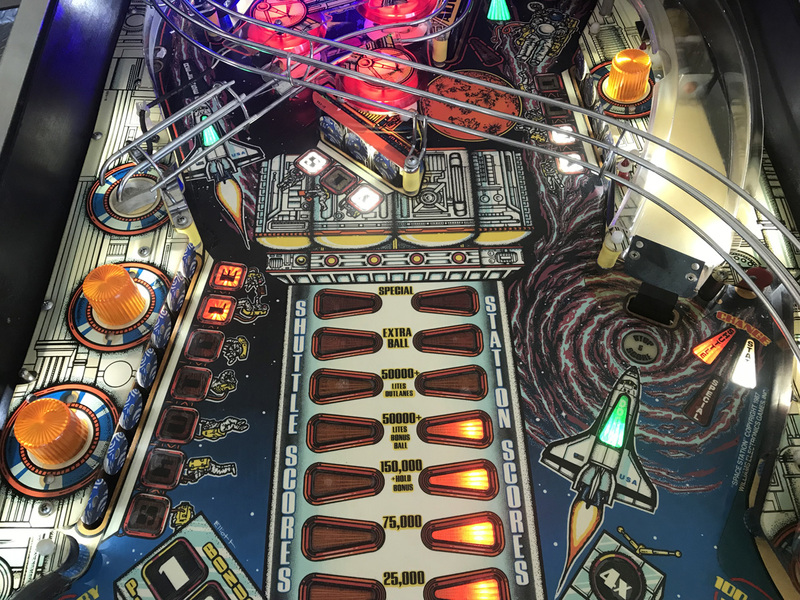 Meaning that all components were removed from the top side of the playfield. All ramps, plastics, post and and the playing surface were cleaned and polished. Brand new rubber rings were installed throughout the playfield as well as new balls. All lamps throughout the game have been upgraded with premium LED’s. 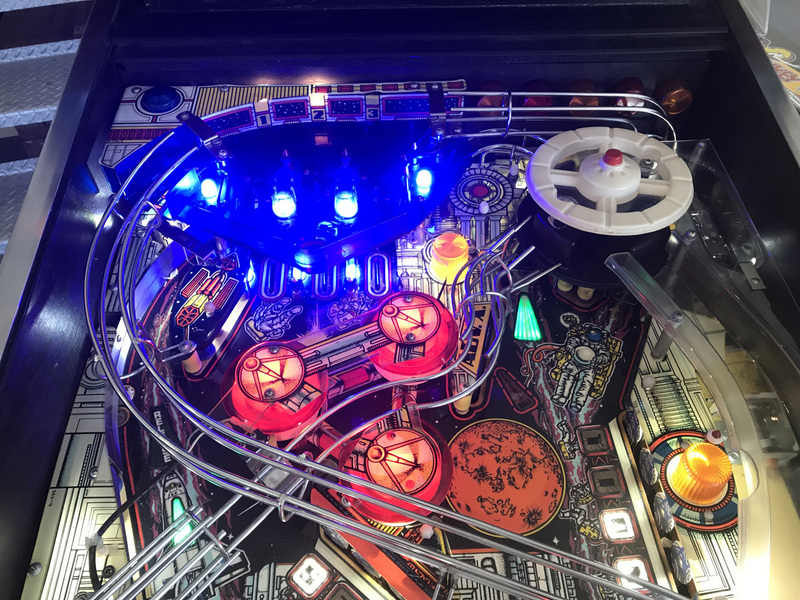 These LED’s give a great look to the machine, last longer and do not consume as much energy as standard incandescent bulbs which is great for the aging electronics of this game. 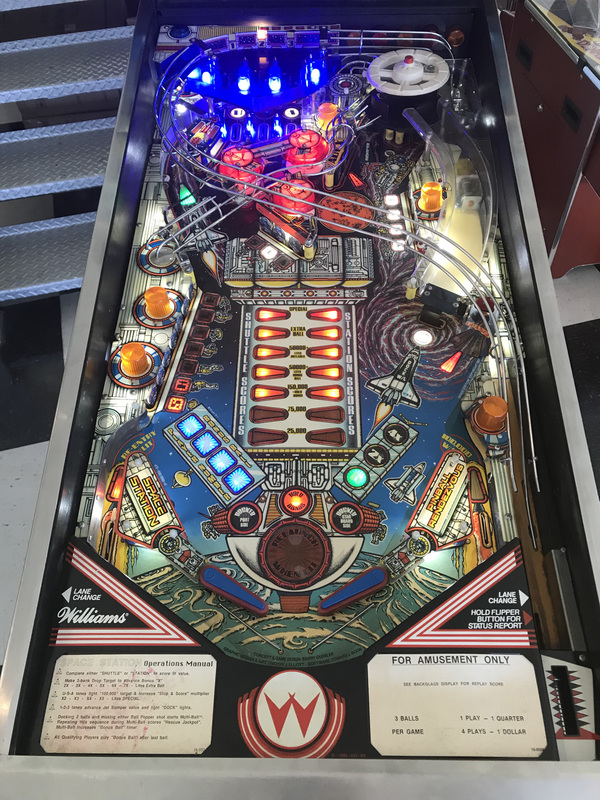 In addition this game has been upgraded with a low voltage XPIN LED Score Display as original displays are no longer available and outgas with age. Also the CPU board has been upgraded with NVRAM in place of the factory AA Batteries. 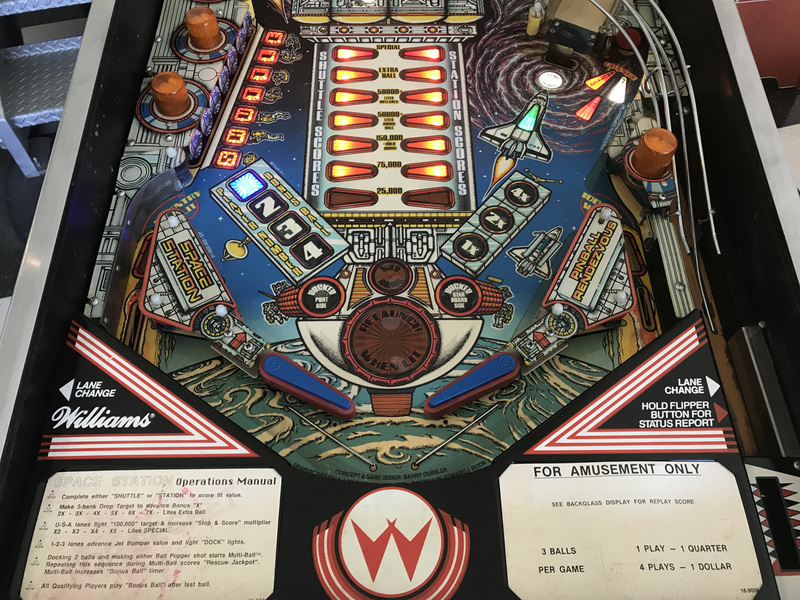 NVRAM is the bulletproof solution for memory retention in pinball machines replacing the AA Batteries that often leak and destroy the CPU board over time. NVRAM is an IC Chip and it will never leak! 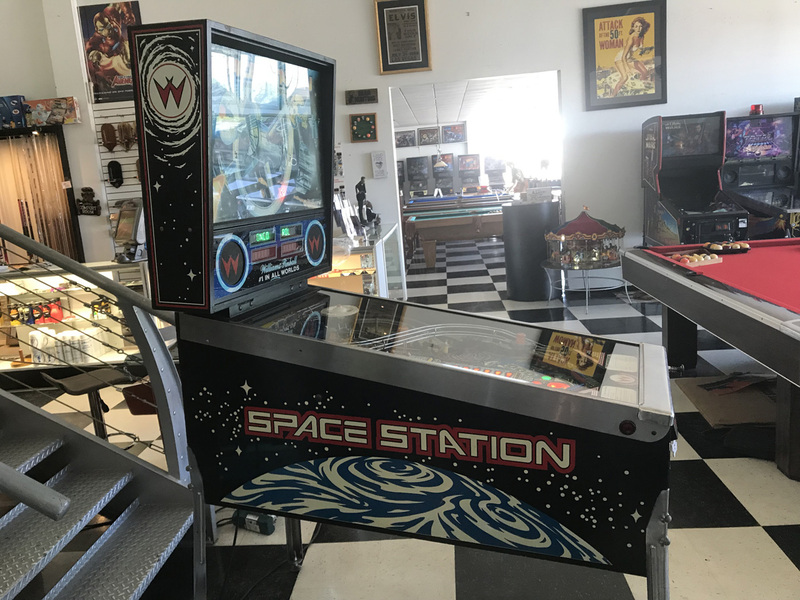 Space Station plays perfectly and is great demand by collectors of 1980’s pinball machines. As with all of our pre-owned, electronic pinball machines. Space Station includes our 30 day warranty on the electronics.